New executive director Julie Heath has Indy’s premier coworking space focused on membership experience. Julie Heath was introduced as the new executive director of The Speak Easy to members of the coworking space this week. 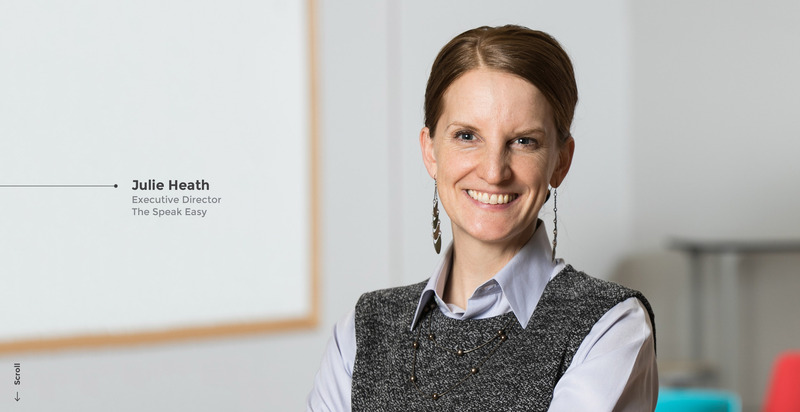 As Heath enters to lead the city’s largest entrepreneurial community, she is seeking to refocus its energies on membership development and providing startup businesses in Central Indiana with the resources necessary to grow. Before joining The Speak Easy, Julie Heath served as Vice President of Customer Success and Vice President of Partnerships at Boardable, a software as a service (SaaS) startup that offered a platform for nonprofit boards. Previous to that she was Director of Strategy & Partnerships at the Conservation Center for Art and Historic Artifacts in Philadelphia, where she discovered her interest in crafting sustainable nonprofit business models by engaging stakeholders and developing the right community partnerships. "Over the last several years, The Speak Easy has grown from a small, tight-knit community in Broad Ripple to encompass dozens of successful companies and hundreds of entrepreneurs in Indianapolis. The Speak Easy is built by our members, for our members, in collaboration with our supporting partners. 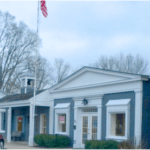 It is a top-notch community asset and an invaluable part of the Indianapolis economic engine." Julie’s experience as a Speak Easy member has inspired her to focus on member experience and members’ successes. Since 2011, Speak Easy members have created more than 170 companies out of the coworking spaces in Broad Ripple and Downtown Indianapolis. One such member, Dustin Sapp, now chief operating officer of Formstack, ran TinderBox out of the Broad Ripple location before moving his growing team into a new office and later rebranding as Octiv. 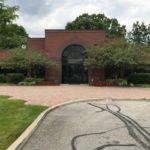 The company employs more than 50 employees in Indianapolis, and earlier this year was acquired by a Colorado firm. After opening a new location in Downtown Indianapolis in 2016 and striking partnerships with Big Car Collaborative and zWorks, and Platform 24, The Speak Easy’s footprint is larger than ever. However, for the newest phase of the organization’s development, Julie Heath has set her eyes set on the depth of programming and assistance provided to members like Dustin Sapp. Heath has been a Speak Easy member since October 2016. She will formally begin her tenure as executive director on Monday, June 11. 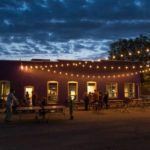 Founded in 2011, The Speak Easy is an independent 501(c)3 member-based, non-profit organization that brings established businesses and entrepreneurs together in the spirit of growth and acceleration. 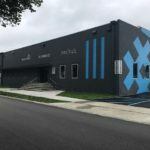 With a location in South Broad Ripple and another within the Mile Square in downtown Indianapolis, the Speak Easy is the first collaborative workspace for entrepreneurs in Central Indiana. Since its founding, more than 170 companies have graduated from The Speak Easy and member companies have created over 1,500 jobs in the Indianapolis area. To learn more, visit www.speakeasyindy.com.